In 2014, millions of middle- and high-school students were exposed, through inhalation or oral absorption, to nicotine and harmful constituents from tobacco products. A substantial proportion of this exposure was due to use of flavored tobacco products. 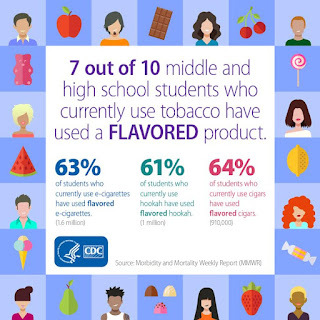 Sustained efforts to implement proven tobacco control policies and strategies are necessary to prevent all forms of tobacco use, including flavored tobacco products, among U.S. youth. In 2014, among middle and high school students, 1.58 million e-cigarette users, 1.02 million hookah users, and 910,000 cigar smokers used flavored varieties of these products within the past 30 days. Among past-30-day tobacco users, 70.0 percent reported using at least one flavored tobacco product; 63.5 percent of cigar smokers, 63.3 percent of e-cigarette users, and 60.6 percent of hookah users reported using flavored varieties of these tobacco products in the past 30 days. 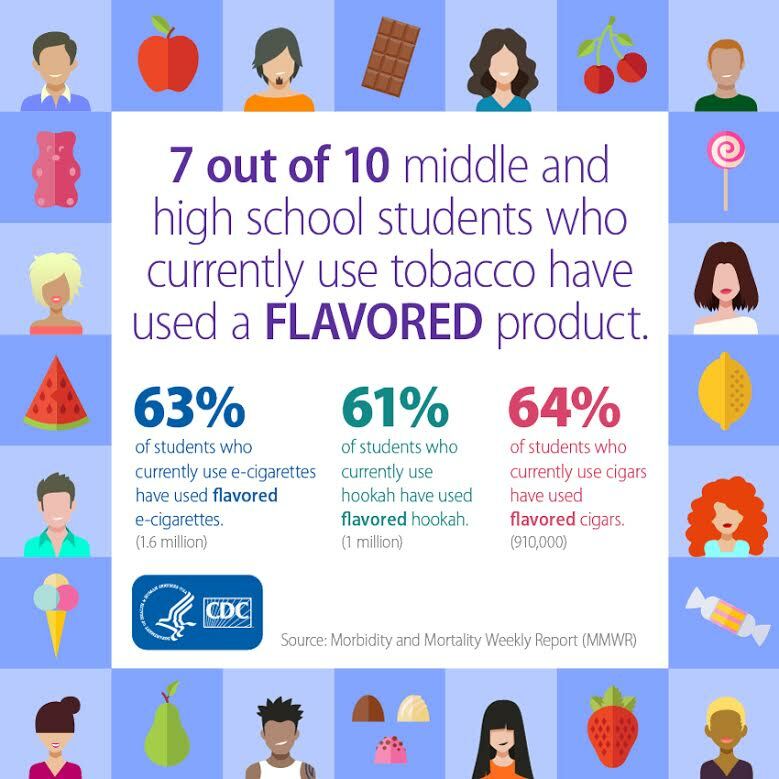 There is growing concern that widely marketed flavored tobacco products may appeal to youth and could be contributing to recent increases in the use of tobacco products, including e-cigarettes and hookah, among youth. Read the full article Here.